While the top of the list remains stable, up-and-comers are mixing up the software landscape with Cloud capabilities that traditional vendors are working to replicate. Market leaders in the overall category of supply chain management continued to dominate the market in 2017, with the top five providers accounting for 49% of the total market. The individual market segments also posted impressive gains. 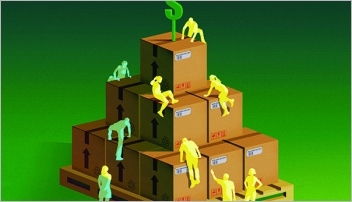 Supply chain execution systems, which includes WMS and TMS, grew 13% to $3.87 billion. Once again, the top five providers accounted for nearly half of the total. The market for supply chain planning systems crossed the $4 billion mark after growing nearly 13%, with the top five companies accounting for 59% of the list’s total revenues. The same top five market leaders had dominated the list since 2012, but Infor’s acquisition of GT Nexus bumped it from 11th place in 2015 to fourth place. After growing 17% last year to $285 million, it retains its rank. A sizable gap remains between fourth place and the top three, where SAP ($3.26 billion, up 11%), Oracle ($1.68 billion, up 8%) and JDA ($544 million, up 14%) hold firm. The remainder of the list continues jockeying for ranks with each separated from the next by a few million dollars. Nine of those companies posted gains of 20% or greater, including five that grew by about 40%. Hybrid SCM environments with co-existing Cloud and on-premises applications are becoming more commonplace, with multi-enterprise applications, such as information hubs and supplier networks, dominating the move to Cloud. 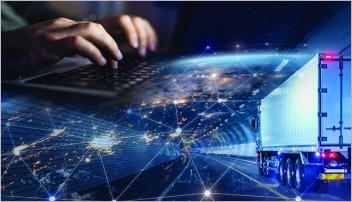 Investments in additional supply chain functionality will increase 15% through 2021 as businesses seek applications that will enable competitive advantage in a digital era through speed of understanding and adaptive response to environmental signals. The expanded availability and choice of supply chain execution (SCE) Cloud offerings will act as a catalyst for growth, especially within mid-size businesses. Overall Cloud adoption across all SCM technology categories will increase from less than 15% to more than 22% of organizations by 2021, with some areas (such as procurement, global trade and transportation) exceeding this adoption percentage. 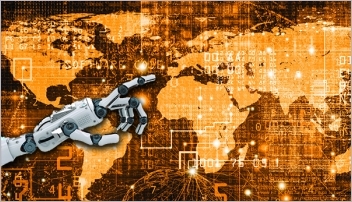 SCM providers can differentiate themselves from competitors and drive revenue growth by fusing technologies such as mobile, machine learning, in-memory technology, multi-enterprise visibility and Internet of Things (IoT) into new SCM practices. This is the 17th time Modern has reported on the supply chain software market from a business standpoint since 2002. Although we initially focused on the top providers of WMS solutions, the lines between supply chain execution and supply chain planning providers are no longer clearly drawn; enterprise resource planning (ERP) providers supply WMS and supply chain execution providers offer planning and optimization solutions. 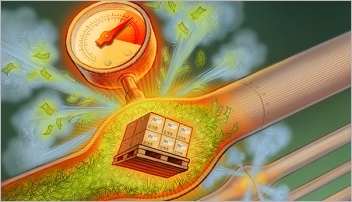 Companies are increasingly looking to integrate their procurement activities into their manufacturing, distribution and transportation strategies. For that reason, Modern partners with Gartner to create this list. Our starting point is Gartner’s annual list of the top supply chain management providers. It is a numbers game and not a popularity contest. The rankings are based on Gartner’s estimates of a provider’s annual sales for 2017. Meanwhile, Gartner’s estimates are based on revenues related to supply chain management software and not a company’s total revenues. Admittedly, this is an imperfect science. Gartner, for instance, strips out hardware sales from its estimates. What’s more, Gartner does not follow the warehouse control systems (WCS) or manufacturing execution system (MES) spaces for the purposes of its chart. Finally, it does not include SCM suppliers that focus on specific verticals. That said, it is an apples to apples comparison to previous years. Josh Bond is Senior Editor for Modern, and was formerly Modern’s lift truck columnist and associate editor. He has a degree in Journalism from Keene State College and has studied business management at Franklin Pierce University.